Former welterweight world boxing champion, Floyd Mayweather Jnr is set to make a sensational return to the ring on New Year’s Eve when he takes on unbeaten kickboxing sensation, Tenshin Nasukawa in Japan. The surprise development was announced by Mayweather on Sunday night while addressing a press conference. Mayweather said the rules for the clash with Nasukawa, who has not lost in 27 contests are yet to be determined. 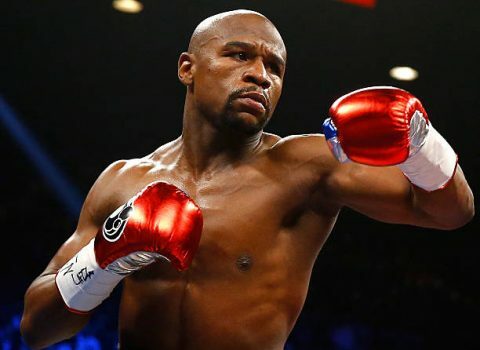 The 41-year-old Mayweather, who is unbeaten in 50 competitive fights is expected to pocket another multi-million dollar fortune from the contest slated to hold at the Saitama Super Arena. Rizin Fighting Federation, who are co-promoting the fight have also confirmed that the fight will take place under special rules but did not specify whether it would be a straight boxing event. When Mayweather, who boasts of an unblemished 50-0 record, fought Irishman, Connor McGregor in his last fight back in August 2017, he made an exception of fighting with lighter gloves. “Rizin has done a remarkable job with the fighters. I look forward to giving you guys entertainment come December 31, but my relationship with Rizin, it doesn’t stop just here. I look forward to taking this worldwide,” said Mayweather, who has abandoned his retirement plans for a second time. Mayweather faces a potentially dangerous prospect in the heralded Nasukawa, who has warned that he possesses a punch that would change history. Nakusawa said: “I would probably say that this is my biggest event in life, so far. I’m very happy that this is going to materialize. Nobody has defeated my opponent in the past.